This is a life changing moment for us all! If you brothers and sisters have been following me on AskHassam Facebook group or BloggingeHow page, you'd know a lot about the backstage stuff that has been going on with my upcoming book Make It Fly!, which is all about building backlinks for your blog, that actually work! Make It Fly! Is due to launch on 1st April 2016, on amazon InshaAllah. 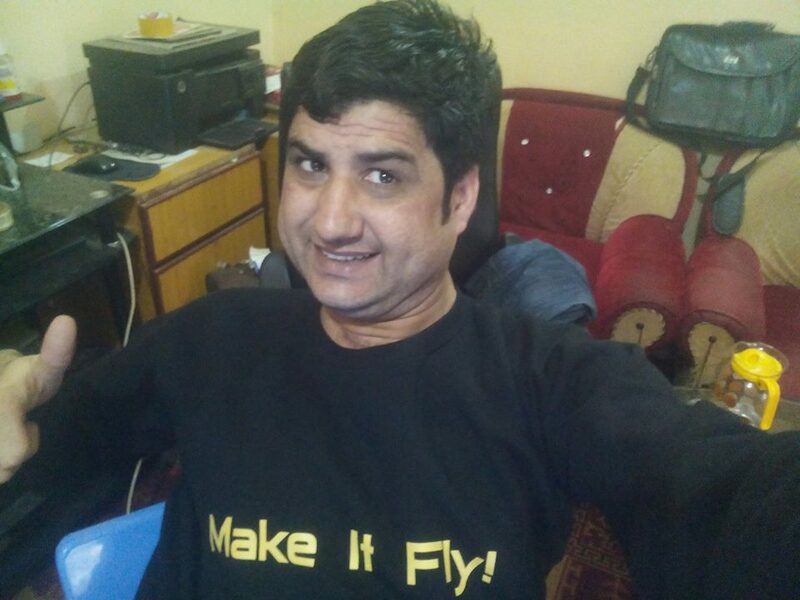 You'd be able to order the book by using the link makeitflybook.com which would take you to the book's amazon page sale page on 1st April InshaAllah. 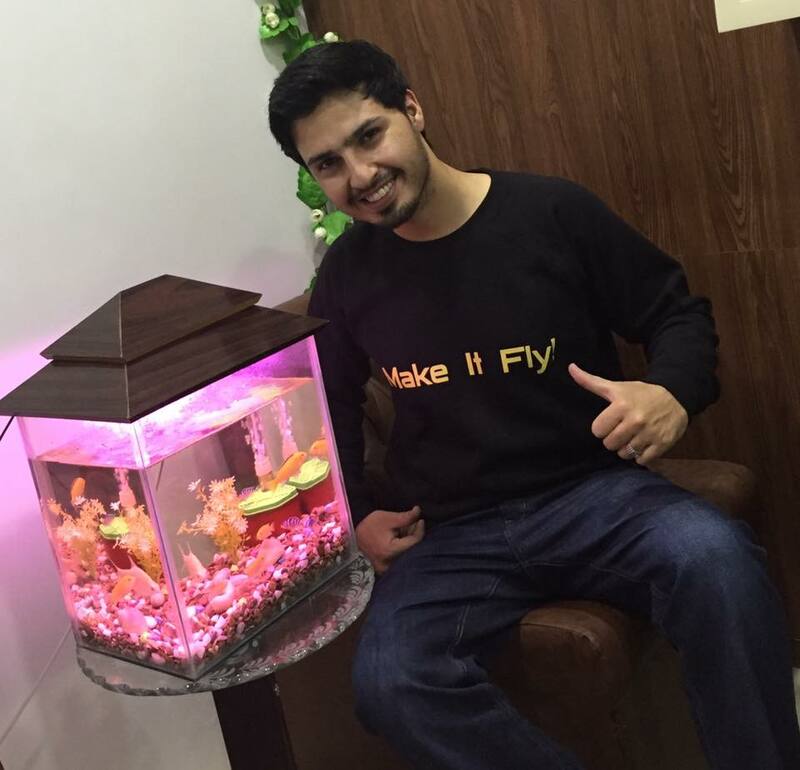 When & How To Order Make It Fly! Make It Fly! Will launch on 1st April 2016 on amazon InshaAllah. You'd be able to order the book by going to makeitflybook.com on 1st April and on wards. I couldn't be flattered enough after reading all the positive feedback that I have been getting since 2-3 months of writing Make It Fly! 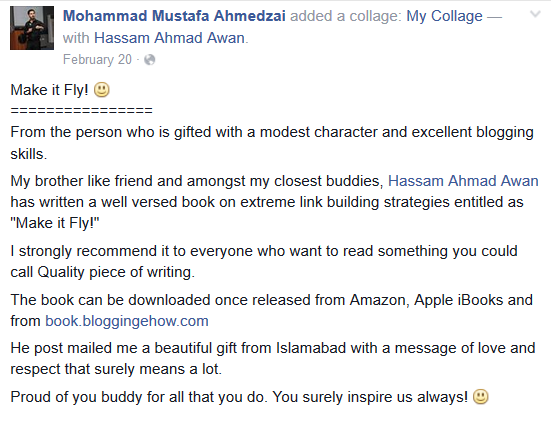 The feedback has blown me away and I can only thank Allah Almighty for it and say Alhumdulilah! What Will Be The Price Of The Book? 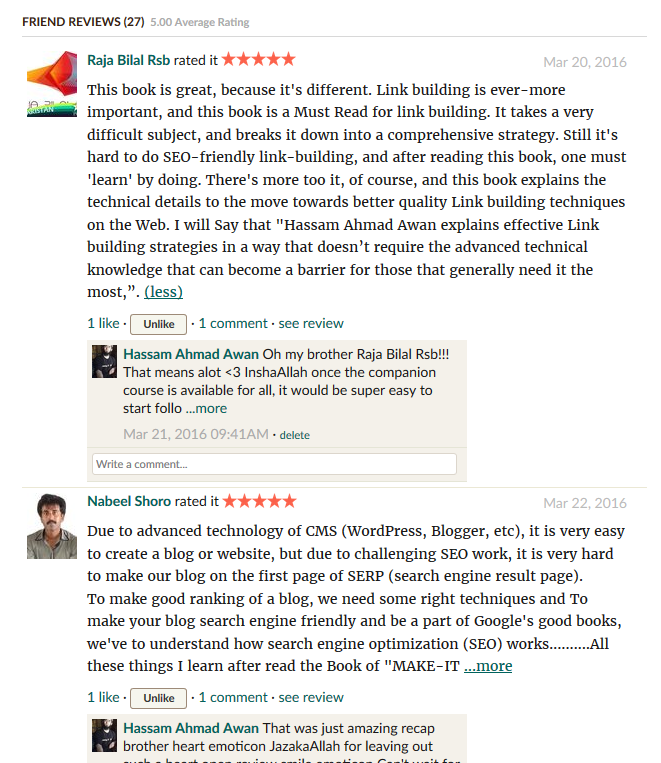 So make sure you get a copy in the first week of the launch InshaAllah :) Below are some of the feed backlinks from our beloved mentors, fellows and inspirational personalities! I'm specially grateful to our brother Muhammad Mustafa Ahmedzai, Abdul Wali brother & M Yousuf brother for making special prayers for the book. What Is The 'Companion Course' All About? The companion course that comes along with the book for free is a course that has videos, worksheets and practical guidelines that assist the reader while going through all the different backlinks building strategies. I know it can become over whelming while reading all those amazingly unknown strategies, that one can find him/her lost along the way. So looking forward to that, the companion course would hold your finger and would guide you through to implement what ever that has been mentioned in the book InshaAllah :) Can't wait for the companion course to get live! How Did You Came Up With This Name Make It Fly!? I was totally inspired by the marketing efforts done by our Industry's big name, Pat Flynn or SPI, who recently launched his book on amazon called WillItFly? which was an amazing effort. The book was in all together a different niche, though I liked an idea to give a book a unique name. Before I actually named Make It Fly!, I named it "How to build backlinks" plain and simple. Then, I realized, to brand the book well, it has to have a good enticing name, that everyone finds easy to remember. That's where Make It Fly! came in. I talked about it in detail in this last live stream we did with the Make It Fly! Launch team few days back. JazakaAllah for you kind prayers!